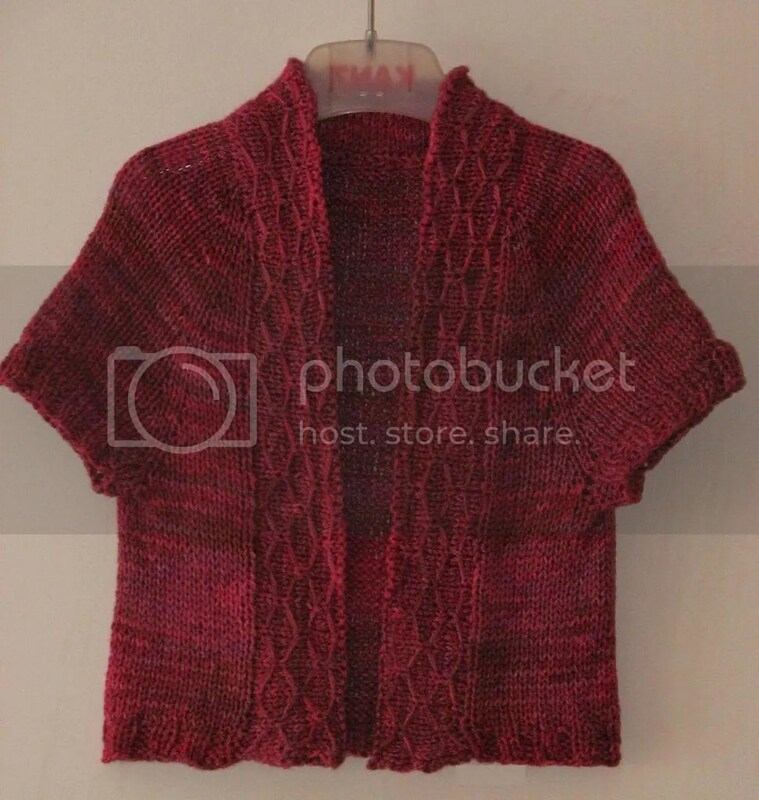 I have a new design for a girl’s spring cardigan which is in test knitting phase right now. As always, I had very little trouble in deciding on the yarn and the stitch pattern, but I am unable to come up with a good name. I turn to you all for help again to find a name for this design. This cardigan is intended to be worn open. The collar has quilted lattice stitch pattern which can be worked plain or using beads. See the pictures for inspiration and let me know your suggestions. There will be two winners this time. Read on for details. 3. If I decide to use the name you suggested, you will win a copy of the pattern, sent to you as Ravelry gift or PDF e-mailed to you. 4. Contest ends on June 20 2012. Put on your thinking cap and let me know what you would name this cardigan. I have a thing for naming patterns! Usually my own, but I love to make a suggestion: what about ‘Little Lady in Red?’ I checked with Ravelry and there isn’t a pattern with that name yet. That lovely pattern around the edge looks Celtic to me…how about “Iona”? How about “Busuki” after the rhododendron variety with deep red flowers? Scarlet Arbor, or Garden Gate…. immediately when I saw the edging I thought of red roses climbing over the entrance to a beautiful spring garden. Looking outside my kitchen window, it looks very similar in colour to one of my favourite Clematis. She’s called ‘Rosemoor’, after a gorgeous garden in Devon, UK. Name suggestions: Felicity (synonym for joy), Espalier (synonym for lattice), Cerise (another way of saying red but way prettier) and àillidh (Gaelic for beautiful). Plus Ronia the Robber’s Daughter by Astrid Lingren was one of my favourite books when I was small enough to wear it! Vow, i fell in love withthe colour instantly, one of my favorite shades! Blushing Buddy! My suggestion is “Rosarium,” which is another word for a rose garden. The lattice design reminds me of these gazebos I saw in France while visiting a rose garden and the color is reminiscent of deep red roses. It’s a beautiful sweater! I love the name you’ve chosen ‘Hira’. But if you really wanted to change it, maybe Spring Arbor or Sparkling Gem?